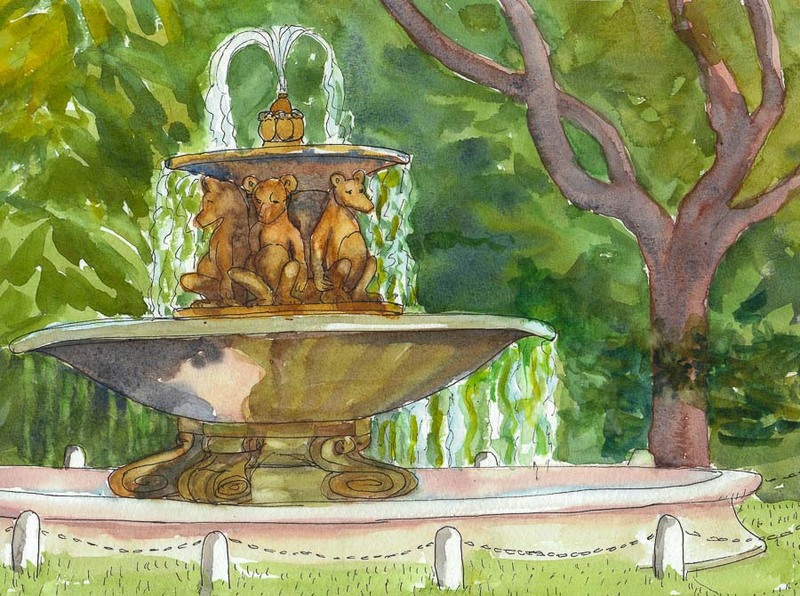 I was excited to sketch Berkeley’s 100-year-old Teddy Bear Fountain again. We found the perfect viewpoint, I sat down on the carved stone bench, pulled out my pen, opened my bag and discovered I’d forgotten my sketchbook! DUH! Fortunately Cristina had a 9×12 watercolor block with her and she let me use it. When I sketched the fountain before I wasn’t happy with the results so I decided to start with pencil on the complicated scene this time. There was an odd optical illusion; it appeared that the water was only falling behind the fountain so that’s how I painted it. 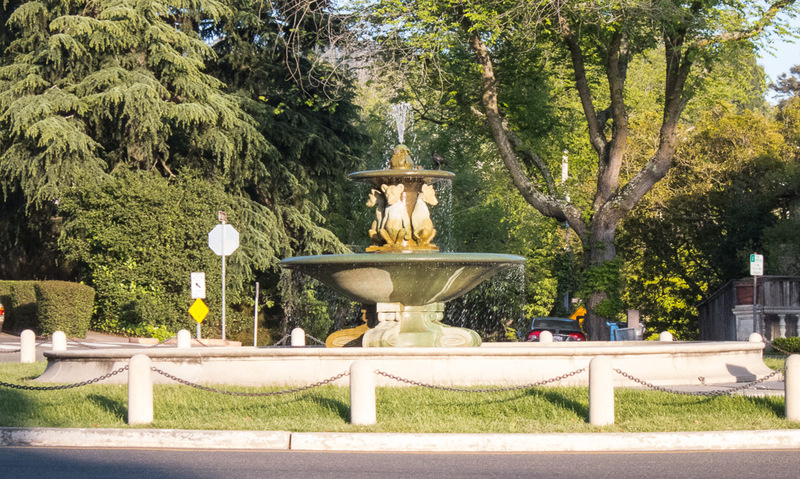 I also intentionally shrunk the width of the base of the fountain. The sun was setting when I finished drawing so I added paint at home. Please check out Cristina’s comprehensive sketch of the scene and Cathy’s previous sketch that is now featured on Berkeley Library cards. Below is the photo I took before I started drawing. I think I posted on the wrong link earlier. Could you contact me about meeting me up at the pub to discuss some ideas. Fish and Chips are on me!